Newcomer Family Obituaries - Nadene A. Seebach 1945 - 2019 - Newcomer Cremations, Funerals & Receptions. Nadene Ann Seebach, age 73 of Lakeview, Ohio passed away Friday, January 18, 2019. She was born July 14, 1945 in Dayton, Ohio, the daughter to the late George and Virginia Powell. Married to the love of her life, she selflessly devoted her time to their family. Nadene was a loving and spunky mother and grandmother, and her compassion for all creatures knew no bounds. She loved to fish, boat, garden, shop at garage sales, play bingo, bowl, craft and cook, but her greatest pleasures in life were watching Ohio State Football and taking care of her family. A 1964 graduate of Northridge High School, Nadene later earned her degree as a medical assistant. 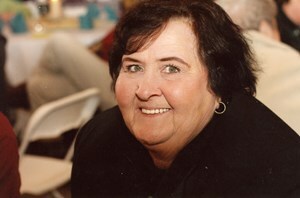 Her career was devoted to providing care and comfort for her patients, retiring from PriMed after 30 years of service. In addition to her parents, Nadene was preceded in death by her son, Michael Lee Seebach; sister, Eva Marie Powell; brother William Drew Powell; grandson, Michael Rhoades; aunts, Mary Williams, Laura Johnson and Charlene Jackson; niece, Cassandra K. Long and cousin, Wes Johnson. Nadene will be missed by her loving husband of 55 years, Jim; daughter, Barbara Ann Seebach (Andrew Walling); son, James (Lorrie) Seebach; grandchildren, Meghann (Ryan) Pruitt, Chelsea Walling (fiance, Jeff Layton), Andrew Walling, Jr., Jacob Rhoades, Johnathan Rhoades, Thomas Seebach, Connor Seebach and Brenlee Seebach; one great-granddaughter on the way; sister, Georgene (Roger) Long; brother, Paul Powell; brothers-in-law, Carl R. (Joyce) Seebach, Roger L. (Mona) Seebach and Mark W. (Donna) Seebach; and many nieces and nephews. Family will receive friends Monday, January 28, 2019 from 12:30 p.m. until the time of the funeral service at 1:30 p.m. at Newcomer North Chapel, 4104 Needmore Rd., Dayton. Burial to follow at Dayton Memorial Park Cemetery. Contributions may be made in Nadene's memory to St. Jude Children's Research Hospital. To share a memory of Nadene or leave a special message for her family, please click the Share Memories button above. Add your memories to the guest book of Nadene Seebach.